Halloween can always be a little tricky with food allergies (no pun intended), but it can be done! I am so excited about the Teal Pumpkin Project that people are starting to do. Its a great new tradition that those with and without food allergies can participate that can make Halloween a little less scary for kids with food allergies!I love that it promotes awareness, safety and respect for children that cannot eat many or ANY candies. Collins can eat SOME candies, but Wynn is not supposed to have ANY candy. Can you imagine a child dressing up, going door to door, and being so excited..and then getting candy and not being able to have anything? I wouldn't want that for any child. Buying one bag of non food treats could make a huge difference to a child this year that is either limited in what they can eat or can't eat candy at all. Does the Teal Pumpkin Project promote NOT buying candy? NOT at all! Still buy candy, but also have a little something non candy too. 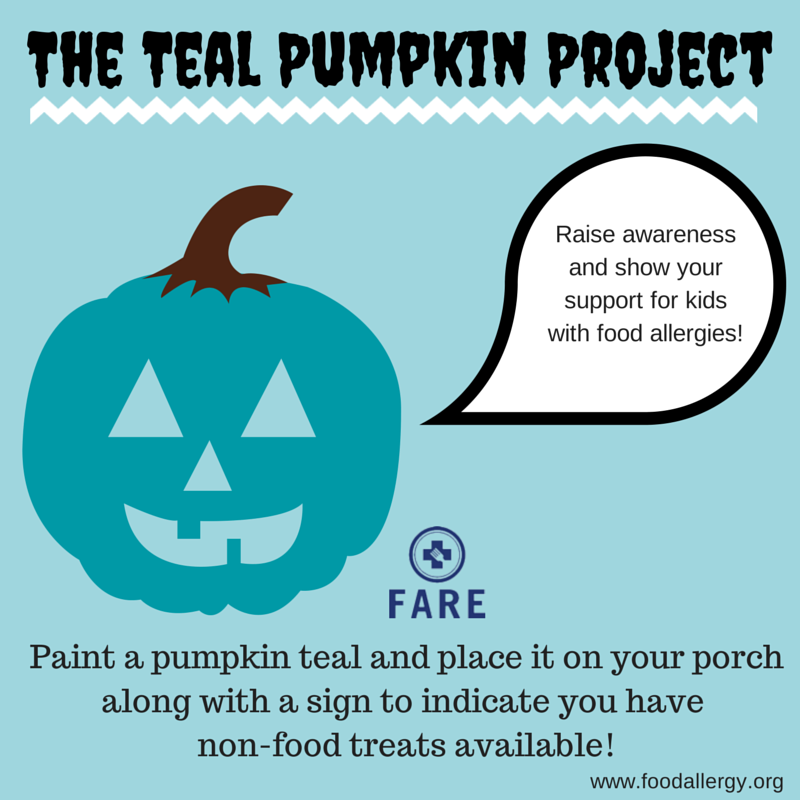 Here is the link for The Teal Pumpkin Project to find out more, print out free flyers, and to get great ideas on non food treats! Don't have time to get a teal pumpkin? No problem! just ask children when they trick or treat if they have food allergies and if so offer them a non food treat. Or just give all children the option of a food or non food treat. Need some ideas for non candy treats? I found many at the Dollar Tree, Michaels, Target, Oriental trading and Walmart. Today is the first day of fall! 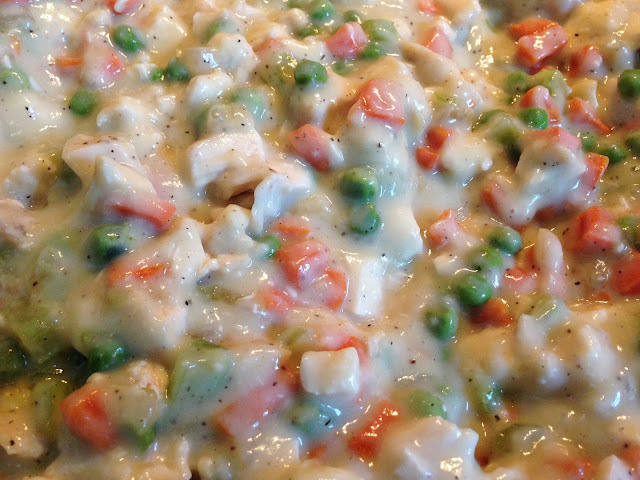 I LOVE chicken pot pie- especially in Fall. It's warm and hearty filling with that flaky crust..what could be better?! I can no longer have chicken..or wheat due to nursing Wynn, but if you are dairy free, soy free, egg free...or even on no dietary restrictions, this recipe is to die for! This recipe is for 2 pot pies. Why? Lets be honest. This recipe is so good it will only last a family one meal, so if I am going to chop those veggies and make the sauce I might as well just make a little more and have enough for another meal! If you would like to 1/2 the recipe, feel free to do so. Preheat oven to 425. Get pie crusts out of the refrigerator and remove the plastic packages containing the crusts and allow to sit out while you prep other items (they have to sit out for 15 min before cooking).Drizzle bottom of a large skillet with olive oil. Saute carrot, celery and peas on medium heat for about 7 minutes or until carrots begin to slightly soften. Add your onion, 1 teaspoon pepper and 1 teaspoon salt and continue to saute until onions are translucent. (The reason you add the onions last is bc they will cook much quicker than the carrots, celery and peas and you don't want burnt onions!) Pour the cooked mixture onto a large plate or in a bowl and set aside. Wipe your skillet with a clean paper towel to be sure there isn't any veggies left in the pan, and return to the stove top. Time for your Roux! Now add your cooked chicken and cooked veggie mix to your sauce. Stir and taste your seasoning. Turn heat off. Place one crust in the bottom of 2 ungreased glass pie pans, pressing it against bottom and sides (dark pan will work too, you just may need to watch the crust at the end of baking to ensure it doesn't get too brown. If this starts to happen simply cover the edges of the crust with aluminum foil around the edges during the last 10 min of baking). Pour filling on top of the crusts. Take the other two crusts, unroll and place on top of your filling and press and pinch around the sides of the pan. If it isn't secured well the filling will seep out. It doesn't have to look perfect! Use a sharp knife and make a few slits in the middle of the pie.. I usually have some fun and do a heart or another design. 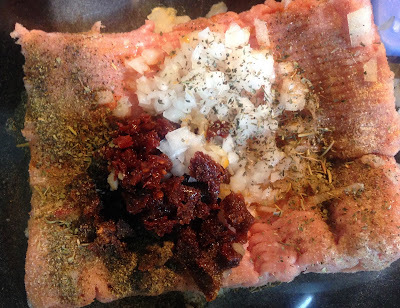 Place in the oven and bake for 35-37 minutes, or until crust is starting to slightly brown. Let pie cool at least 15 minutes before devouring..umm.. I mean eating it to allow the sauce to thicken. Quinoa (KEEN-Wah) 101..and a Meatloaf I give a perfect 10! Quinoa has become a new necessity since my son can no longer have gluten or rice! Not familiar with quinoa ( pronounced KEEN-Wah)? Quinoa is a gluten free grain native to Bolivia and is a relative to Swiss chard, beets and spinach. It has a mild earthy flavor (that can be a little too earthy in my opinion without adding seasoning). Its nutrition value is quite impressive! It has 8g Protein, 5g Fiber, 30% Daily Value of Magnesium, 15% DV Iron, 19% DV Folate and heart healthy Omega-3s. There are many ways to incorporate quinoa into your diet. You can eat it seasoned as a side. You can also add it to many recipes. Here are some ideas: add cooked quinoa to smoothies, quiche, chili or stews, swap it for rice in recipes, add it to a salad, swap it for oatmeal in your morning breakfast using normal oatmeal flavors and toppings, add it into your burger meat, add to muffins, use it in breakfast cookies, aaaand use it as a binder for your meatloaf! I was craving meatloaf this week, but I wasn't sure what to do about not being able to use breadcrumbs. Usually you add milk to breadcrumbs in meatloafs. So, I thought i would try to substitute some cooked leftover quinoa to it and voila! It works perfectly, it adds a TON of nutrition AND you don't even notice a difference in the taste. Not ready to try it? you can easily make this recipe with breadcrumbs ( I will note the change below). 1 tsp of tomato paste- tip! I buy a tube of this and keep in the fridge so i don't waste part of a can and can add a little here and there in recipes. saute onion, 1 1/2 tablespoons of oil and carrot on medium high heat in a skillet until carrot softens slightly and onion is translucent. Set aside to cool (you do not want to ever incorporate hot ingredients into uncooked meat because it will start to cook your meat!). Put all ingredients into a large mixing bowl and mix together with your hands. 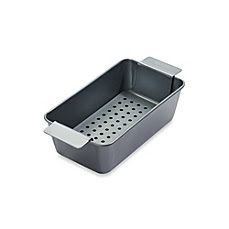 Spray a loaf pan with non stick spray ( i use pam grilling). Place mixture into pan. 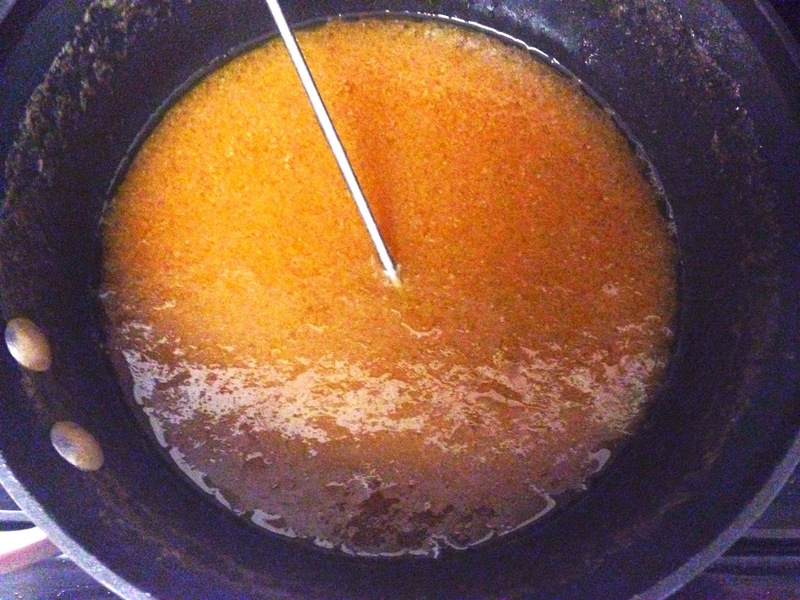 In a small separate bowl, mix all ingredients for your glaze. Make sure there are no large sugar lumps. If you prefer a sweeter less tangy topping, just leave the mustard out, add 2 more tablespoons of ketchup and one more tablespoon of brown sugar. Spoon glaze over meatloaf and place in the oven for 50 minutes or until meat is cooked through. Sides: roasted veggies, brown sugar glazed carrots, mashed potatoes, roasted potatoes, grilled asparagus, butter beans, green beans, peas. before it goes in the oven.. I love to help others dealing with food allergies to find safe foods to eat. As we send our children back to school, it is so important to send our kids with foods that are safe for them and the other children. 1 in 13 children have food allergies! 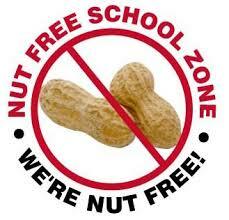 Peanut allergies are the most common food allergy and can be so dangerous. Trace amounts of peanuts can cause a reaction- and some can be deadly. I have compiled a list of some ideas for peanut free snacks to send with your little ones to school that will keep them safe and taste great! · Rold Gold Pretzels-NOT snyders. My daughter loves the honey mustard pretzels rold gold makes! · Enjoy Life (all flavors) **known for their allergen free cookies! · Pre packaged Rice Krispie treats or make your own! Not all Turkey is Created Equal..
Two misconceptions about turkey burger: 1. they are dry 2. They are boring. Neither is the case if you use the right meat and cook them right! One reason people get dry turkey burgers is that they cook them like beef. Turkey burgers need to be cooked low and slow. Also, another tip to preventing dry meat is to fill them with a wet vegetable- in this case I am using finely diced onion. Next issue? choice of meat. Many people that have tried a turkey burger at a restaurant didn't like it. why? it is usually frozen (yuck) and not a good quality meat. Not all turkey is created equal! Jennie O Lean is my go to and have tried many others that fail in comparison, but each person's tastes are different. Just promise me you will not try one brand, cooked one way and decide you don't like ground turkey! I have in fact cooked meals using ground turkey for many other people who actually never knew it was turkey. Why? because of the kind I used and the way i season and prepare it. Case in point? 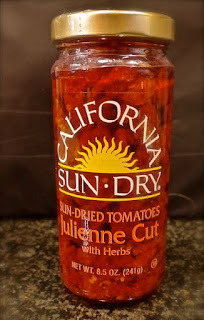 My sun dried tomato turkey burger..It is easy, healthy and so delicious! 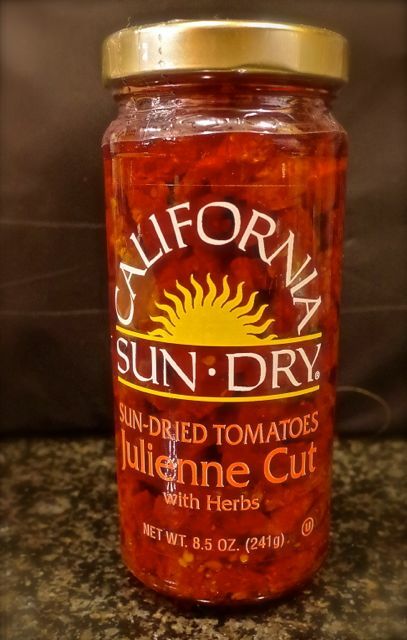 1/4 cup diced Sun Dried Tomatoes in sauce - I use California Sun Dry Tomatoes julienne cut with herbs then run my knife through them quickly to chop. Combine all ingredients in a large bowl, making sure to evenly distribute each ingredient. I use my hands! Do not over mix. Heat a large skillet on medium high heat with olive oil (I don't measure but about 1.5-2 tablespoons). Score your meat in the bowl to make a "+" to ensure all burgers are equal in size. Form four patties. Place in skillet and heat first side 2 minutes and flip (they should be slightly brown). Heat other side 1 minute, then put skillet in the oven for about 7 minutes or until meat is no longer pink. Do not overcook or they will be dry! I love to serve these burgers over cous-cous, but we can no longer have them..so today we tried them with quinoa and it was good! I suggest cooking your quinoa or cous cous with some olive oil or butter, salt and maybe some sun dried tomatoes if you really like them! If you are making quinoa you will need extra seasoning-it takes a lot! Buns toasted w garlic butter (can also be dairy free w earth balance spread) and a pinch of garlic, mayo mixed w a little oil from the sun dried tomatoes and a few diced tomatoes mixed together to make an aioli. You could also add romaine and a sprinkle of fresh basil if you want to go all out! I love Jennie O products, and I'm especially grateful they have created so many turkey products since the only meat Wynn can have is turkey. 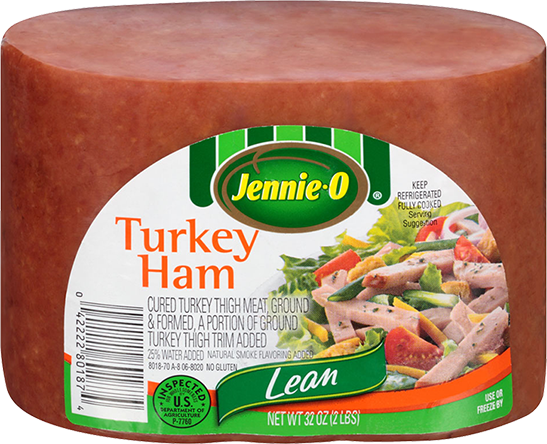 I've seen Jennie O's Turkey Ham many times at the grocery store but I've never purchased it, because honestly I just didn't know what i would do with it and..well..it sounded a little odd. A ham made of turkey? It seemed a little weird, but I finally decided to try it..and I'm glad I did! This is SO simple and only 3 ingredients. Try it- you won't be sorry! This recipe works perfectly with a "turkey ham"but will also work very well with a boneless ham! 1. Grease the bottom of your crockpot with Pam Grilling spray (doesn't contain soy) or spray of choice. 2. Pierce the top and bottom of your "ham" with a knife several times ( to allow juices and brown sugar to seep in your meat). 3. Divide your brown sugar in half. pack 1/2 of your brown sugar on the flat side of your meat. hold it onto the meat with your hand, and flip it, placing it flat side down in the crockpot. Its okay if some of it falls out to the side. 4. Pack the rest of your brown sugar on the top of the ham. 5. Pour the pineapple juice all around the sides of your crockpot (not on top of the ham). 6. Cook on high for 4 hrs. Remove ham and slice it, then place it back in the crock pot. 7. Cook an additional 30 min-1 hour to allow juices to soak in every slice! This sauce will thicken as it cools. For a thicker serving sauce, just turn off cooker and allow it to sit for about 30 min. This tastes great on rolls smothered in sauce or on its own with a side of sauteed green beans. You can also use leftovers for a salad, casserole, omelet or sandwich the next day.